I. Located in Shanghai, the emerging financial hub of Asia, SEM uses the geographical advantage of the Yangtze Delta Region, a leading area for manufacturing, to contribute to the economy of China and even the whole world. II. Benefiting from Tongji, the most excellent university in the field of Urban Planning and Engineering, SEM is devoted to cultivating leaders and professionals with global insights for enterprises, governments and non-governmental organizations. III. 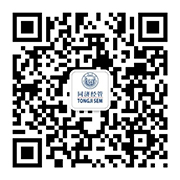 Founded by German doctor Erich Paulun, Tongji endows SEM with a vision of internationalization, thus bridging the links between the management field and business world in China and worldwide. IV. A major driving force of China’s Urbanization, SEM and its alumni undertake over half of the large-scale city-development projects in China. – Management Consultancy for Construction Projects of International Airports, Subways, and Exhibition Centers in many cities of China. V. A pioneer in Internationalization, SEM has established broad cooperative relationships with over 50 business schools worldwide. – We have international partners throughout the five continents. In the academic year of 2010-2011, the number of our international students exceeded 250. – SEM is the FIRST in China to launch a DBA programme jointly with Grenoble Ecole De Management, a renowned business School in France. – SEM is the FIRST in China to launch a double PhD programme jointly with TU Darmstadt, a famous university in Germany. VI. SEM plays a fundamental role in China’s Management Field through the creation and dissemination of knowledge. – Over one third of World Top 500 companies and their branches have a cooperative relationship with SEM. – Our professors are involved in the Leadership Training of the Asia-Pacific Region co-organized by the UN and Tongji University.